Yet another new restaurant with robot servers has opened in China. And the owners seem determined to test Disney's patience with intellectual property laws. Why? The name of the restaurant is apparently Wall.e — just like the cute little robot worker from the 2008 Pixar film. It seems like a new robot restaurant opens in China every month these days. But sadly, here in the United States we have a dearth of robot-centric dining options. The 1980s kid in me truly weeps. 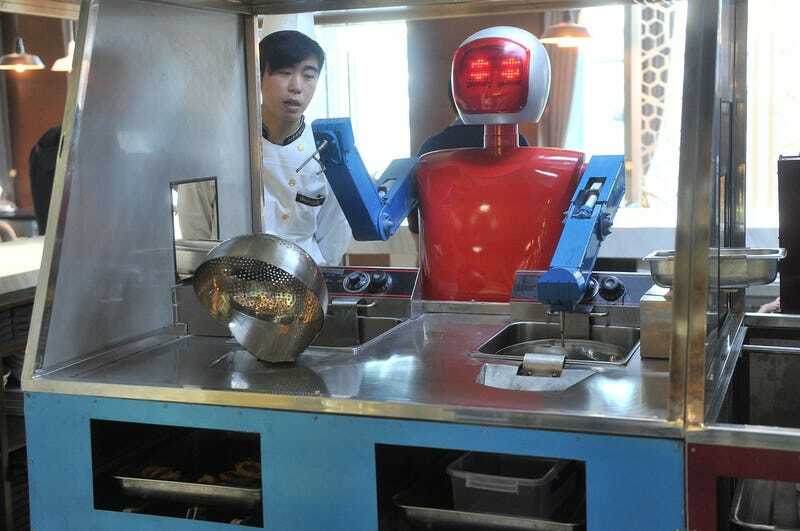 This new restaurant is in Hefei, Anhui province of China and has similar looking robots to the one that opened in Chengdu recently. Clearly some robot vendor is cleaning up with these things, which reportedly cost about $10,000 a piece. Could our robot-filled future be just over the horizon? We've heard that one plenty of times before. So I won't hold my breath. But a man can dream, can't he?